Mark Ruffalo is a well-known American director, actor, and activist. In the past few years, he has started to gain a lot more attention due to his acting in ‘The Hulk’ films as well as both of the ‘Avengers’ films. Besides his remarkable acting achievements, he is also an activist and advocate for several movements and foundations. As of 2019, Mark Ruffalo’s net worth is approximately $30 million. Mark Ruffalo was born in Kenosha, Wisconsin on November 22, 1967. His mother a hairdresser and his father construction painter had two daughters and one other son who is now deceased. As a child, he attended both progressive and Catholic schools and suffered from undiagnosed ADHD and dyslexia. As a teenager, his family lived in Virginia and Wisconsin; and after he graduated from the First Colonial high school his family relocated to San Diego, California. Soon after that, they settled in Los Angeles, California. In Los Angeles, he attended classes at the Stella Adler Conservatory and later went on to co-found the Orpheus Theatre Company. That is where he worked as an actor, writer, producer, and director. Soon as luck would have it, the playwright Kenneth Lonergan showed up and decided to put on a few plays. Mark got the opportunity to act in the plays as well as Lonergan’s film ‘You Can Count on Me.’ The critically acclaimed film got Mark several awards and helped him establish himself in Hollywood. In 2002 he took a brief break from acting as he had been diagnosed with a brain tumor. The tumor was benign, and the surgery left his face partially paralyzed for a short amount of time. A year later, he returned with ‘In the Cut’ and ‘View from the Top’ and neither one of them were received well by the fans. Continuing into the early 2000s Mark went on to act in some incredible films including ‘13 going on 30,’ ‘We Don’t Live Here Anymore,’ ‘Just like Heaven,’ ‘Reservation Road,’ ‘What Doesn’t Kill You’ and many more. In 2014 Mark Ruffalo starred in a Broadway play called ‘The Normal Heart,’ and it got him an Emmy award nomination. His film ‘Foxcatcher’ was released later that same year and he earned both Golden Globe and Academy Award nominations. As of 2019, Mark Ruffalo’s net worth is estimated to be $30 million. 1. Have faith in yourself. Have a little faith in yourself because you are capable of accomplishing anything you want. Don’t give up on yourself and remember that if you don’t believe in yourself, then you can’t expect others to do so. 2. Don’t just stand in the sidelines. Don’t just stand around and let things pass you by because taking action feels better than having regrets. Have a clear and precise idea of what you want to accomplish and what you need to do to get there. Envision the path you want to follow to motivate and drive your ambition. Mark Ruffalo is currently one of the most well-known actors in the world, having worked on the internationally famous Marvel films. He has also been known to use his wealth and influence to support and be a voice for numerous foundations. 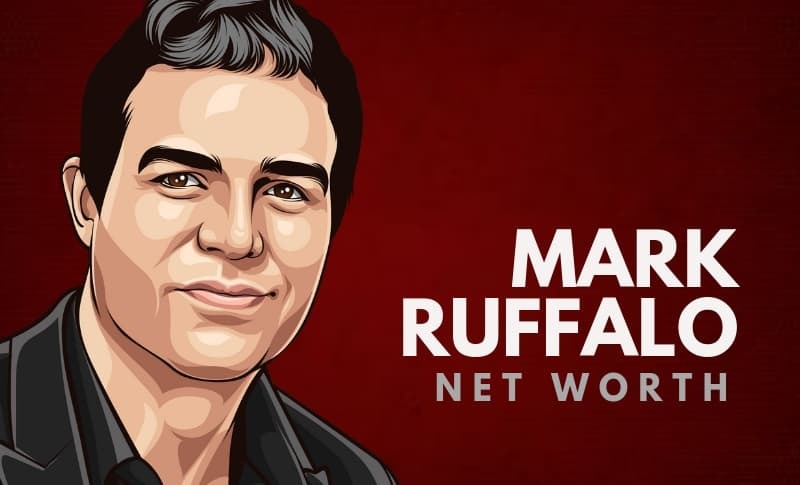 What do you think about Mark Ruffalo’s net worth? Leave a comment below.